“Nine Irish Lives is an engrossing and inspiring book. 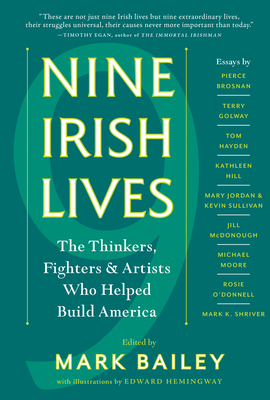 As the child of Irish immigrants, I was in awe of what these nine people achieved." “Mark Bailey's Nine Irish Lives is a string of illuminating prose meditations about an unsung club of sustainable heroes with St. Patrick on their side. Much forgotten history is brought to life in this riveting narrative. Highly recommended!!"